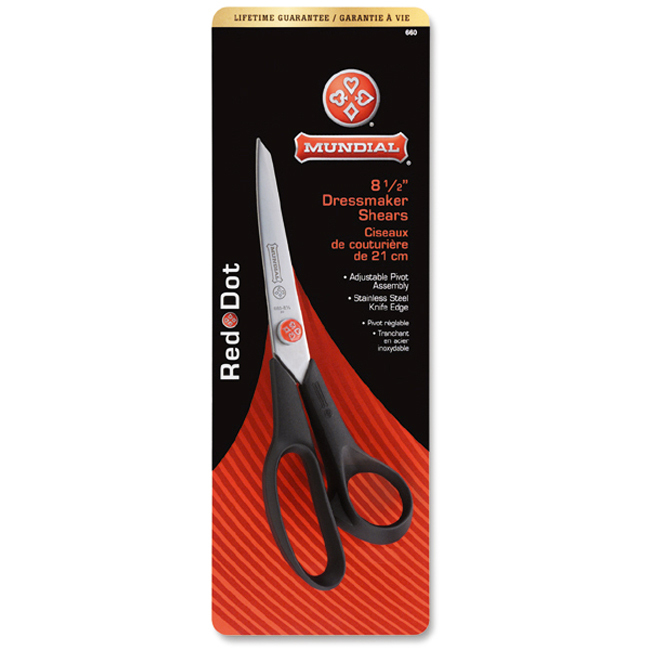 The Mundial Red Dot 8-1/2 in Dressmaker Shears are excellent general purpose scissors for a variety of sewing & quilting applications. Stainless steel knife edge. Adjustable pivot assembly. Lifetime guarantee. 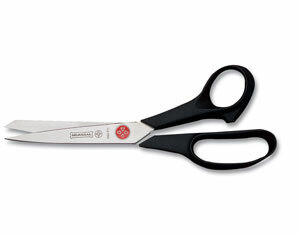 This is the right-handed version of these popular sewing scissors. We also carry the left-handed version.